There is also the possibility for viewing actual straw hat production. For more information, you may contact the Museum by phone: +386(0)1 724 84 08 (during the opening hours), or by email: slamnikarski.muzej@kd-domzale.si. 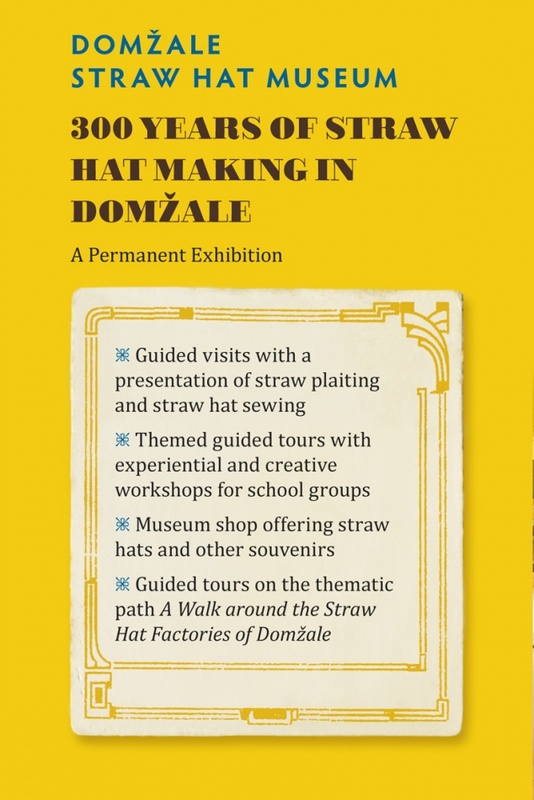 The permanent exhibition "300 Years of Straw Hat Factory” was prepared by the Straw Hat Factory Study Club, which operates under the patronage of the Franc Bernik Domžale Cultural Home and with the guidance and supervision of the Upper-Carniola Museum experts. 1. How Did the Straw Hats Find Domžale? Two stories about the beginnings of the straw hat industry reveal that the craft of making straw hats originated in Florence, Italy. In the 18th century, it was a well-established craft and an important profit-making activity. 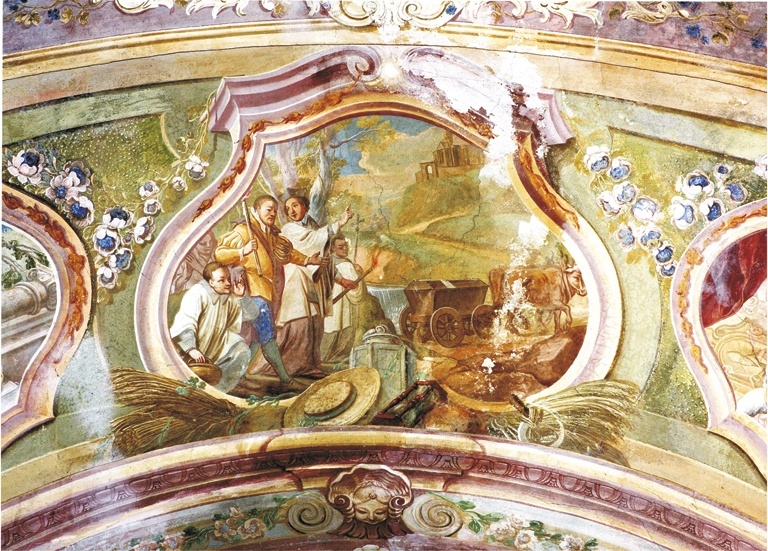 In 1761, a Baroque painter Franc Jelovšek painted a straw hat, a bundle of wheat straw and a sickle in the vault of the Groblje church. In the past, the Kamnik-Bistrica plain was mostly sown with wheat. The farmers grew wheat for the grain, not for the straw needed for plaiting. However, during harvest time the plaiters gathered the straws that were most suitable for plaiting and either sold them or used them to make straw hats themselves. Female reapers from Stob, a part of Domžale, between 1900 and 1905. Initially, people sewed straw hats by hand in their own homes from autumn to spring. They made them for themselves and to sell them at the local markets. The selling of straw hats was partially taken over by the Kočevje and Bled peddlers who were later joined by the Tyroleans from the Defereggen Valley. By the mid-19th century, 12,000 people were involved in the straw hat cottage industry and they produced an average of 800,000 straw hats annually. 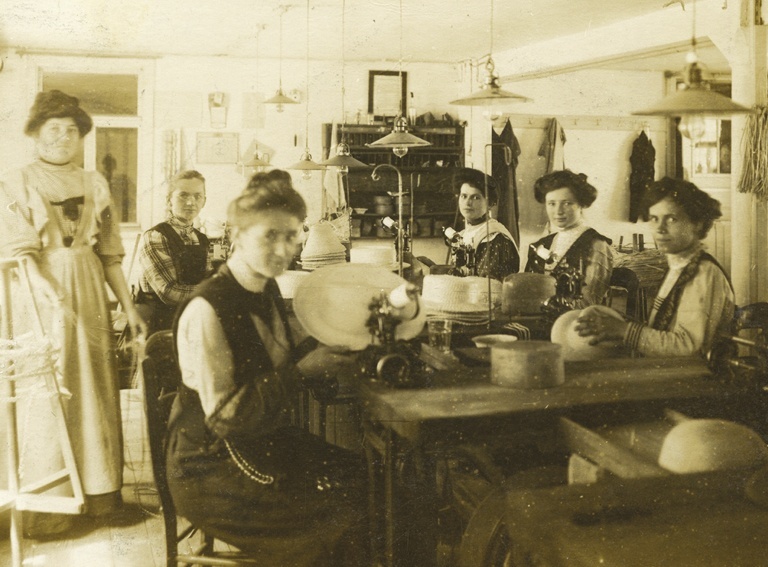 Straw hat makers from Ihan near Domžale in the "Dom in Svet" ("Home and World") literary magazine from 1903. In the middle of the 19th century, Tyroleans and Sudeten Germans came to Domžale, where they acquired the basic skills of making straw hats. They were also able to acquire semi-finished products, manpower and energy resources. Some of them were even able to find themselves wealthy brides. These basic preconditions, combined with entrepreneurial ideas, advanced organisation and technology, resulted in the expansion of sales to new areas. 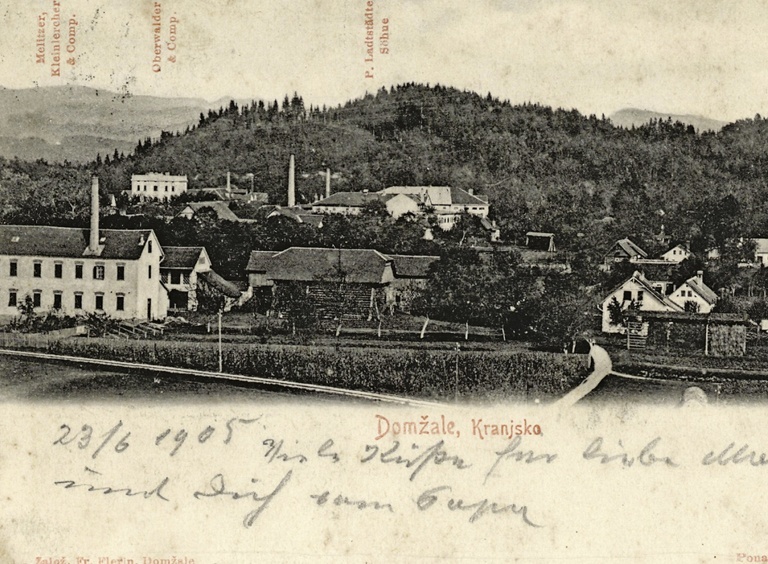 A postcard of Domžale from 1905 indicating the main straw hat factories. 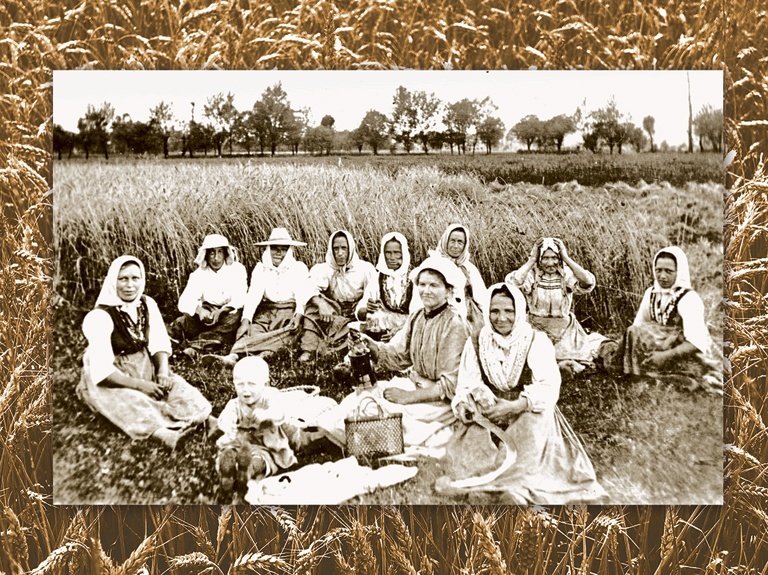 In the early 20th century there were about 25 straw hat factories operating in the Domžale area, and about 1,000 male and female workers were employed there. 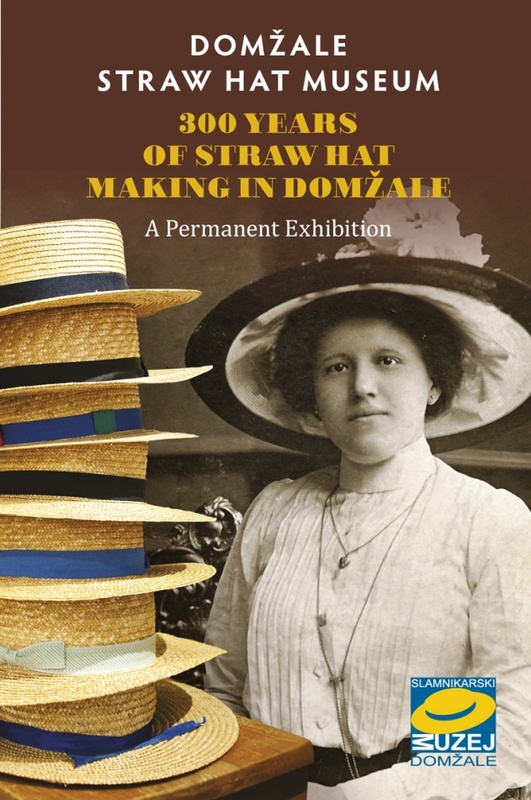 The straw hats manufactured in Domžale met the demand for these products in the Austrian-Hungarian Empire and were also exported to other European countries. Subsidiaries of the Domžale straw hat factories could be found in Vienna, Prague, Linz, Budapest, Bratislava, Brno, Graz, Kronstadt, Bucharest, Wels, Florence and New York. In its best years, the straw hat industry produced more than one million straw hats annually. Straw hat seamstresses from Domžale were sewing straw hats in the most important straw hat factories in Europe and America. 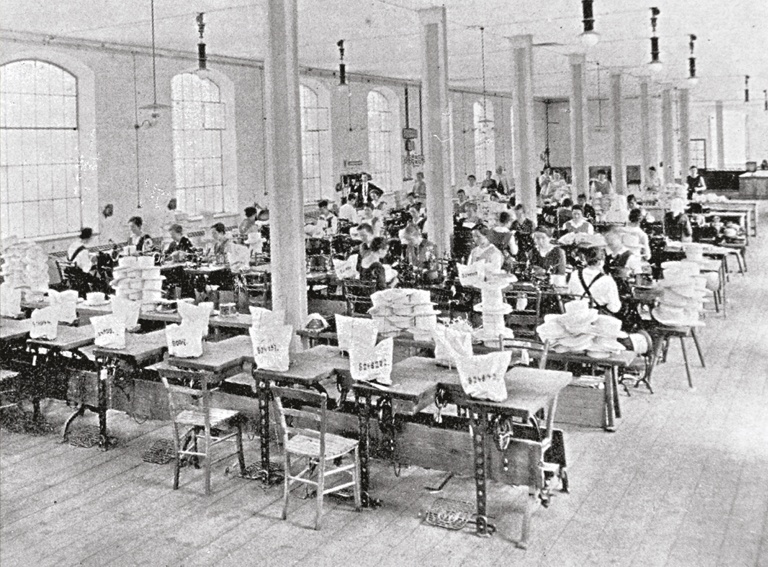 After the First World War, the new political and economic situation resulted in an accelerated deterioration of the straw hat factories. Fashion also added to the decline of the straw hat industry as it was no longer obligatory to wear hats in public. After the Second World War, industrial production of straw hats continued only in the Univerzale Domžale factory. In 2003, it, too, was eventually closed down. However, it is thanks to Univerzale that the straw hat industry flourished in Domžale for more than 130 years. The process of the industrialisation of the town and the surrounding areas started with one branch and continued with a whole range of different industries and handicraft businesses. Taking a peek in the Tyrolean straw factory J. Oberwalder & Co., which later became the textile company Univerzale Domžale. For centuries, straw plaiting and the straw hat industry were part of the locals' lives. 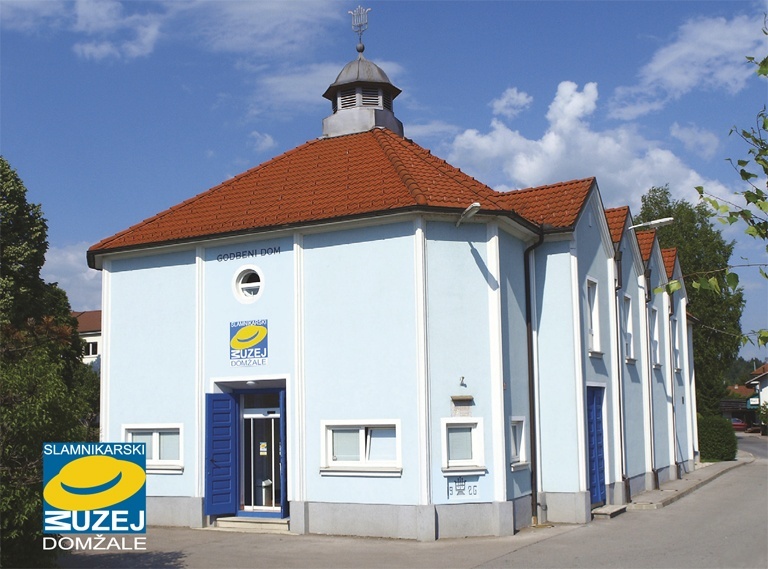 This industry contributed to their prosperity and to the development of Domžale from a village into a town. Memories of the industry still live in buildings and have been preserved in municipal symbols, in writings, in songs, in the activities of different societies, in tourist souvenirs, in a monograph by M. Brojan about the making of straw hats in Domžale and in our museum. The Straw Hat Museum collects, safeguards, and researches the heritage of straw hat making and presents it to the public. 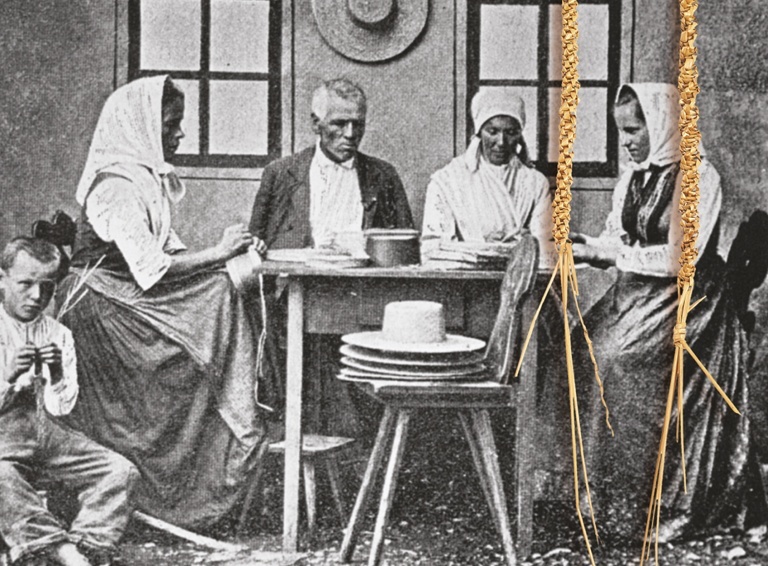 The permanent exhibition on the first floor takes us through the history of straw plaiting and straw hat sewing in Europe, particularly in Domžale and its surrounding areas. Visitors to the museum become acquainted with the processes of straw plaiting and straw hat making, as well as with the tools and equipment that were used. 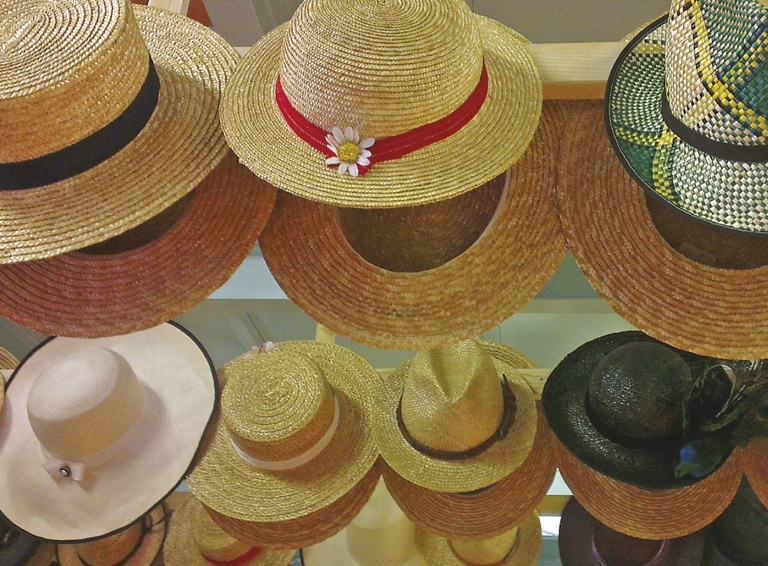 A rich collection of straw hats is also on display. The collection presents the different types, colours, materials and patterns of plaits from which the sewers made straw hats. Visitors may even try on certain models of hats. On the ground floor there is a room for temporary exhibitions and events, as well as the museum shop. For groups booked in advance it is possible to organise a presentation of straw hat sewing and straw plaiting (subject to an additional fee). Themed guided tours with experiential and creative workshops are offered to kindergarten and school groups. Every year in June, a Straw Hat Fair is organised as a single day event aimed at getting together and learning about the straw hat heritage. Different events such as talks, concerts and gatherings are organised as well. These events are called Meetings under the Straw Hats.